I ordered a bunch of new shoes recently including a few pairs from Ann Taylor since there’s a stackable code while the shopping cart accepts up to two codes. The following combination of discounts codes works out to be 70% off retail as seen in this and this example if you get your order close to $100 before stacking the second code. Use code SPRINGNEEDS for 40% off select full-price styles including shoes + use code THANKS7 for an extra $50 off your full-price promotional purchase of $100+. Lastly I used ShopRunner for free 2 day shipping on orders of $25+. I originally signed up for ShopRunner via PayPal for a free membership for two years. ShopRunner is also a complimentary service for AmEx and Mastercard holders! I have since signed up for ShopRunner through MasterCard after my LOFT card was upgraded to a World MasterCard. I didn’t stop at just shoes though and I also placed a few orders for some new skirts and tops. 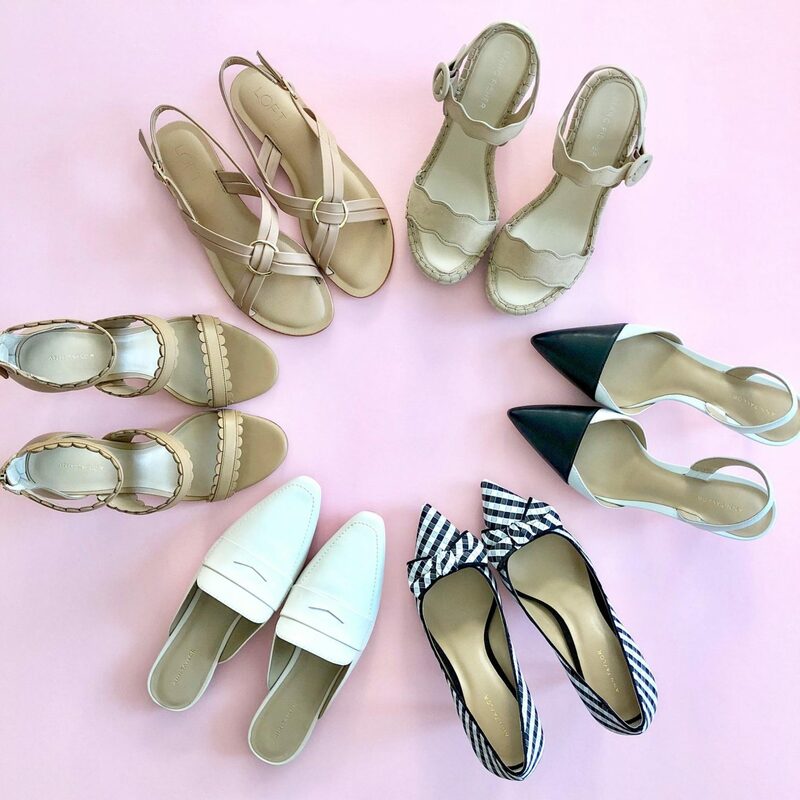 Spring and summer shoes are my weakness and I really need to declutter once again (check out my Poshmark closet). First up I wanted to include these sandals in this haul since it’s my favorite pair of sandals that I bought during LOFT’s Cyber Spring sale. As mentioned in my previous post these sandals are really comfortable and flexible and they did not require any break in time for me. 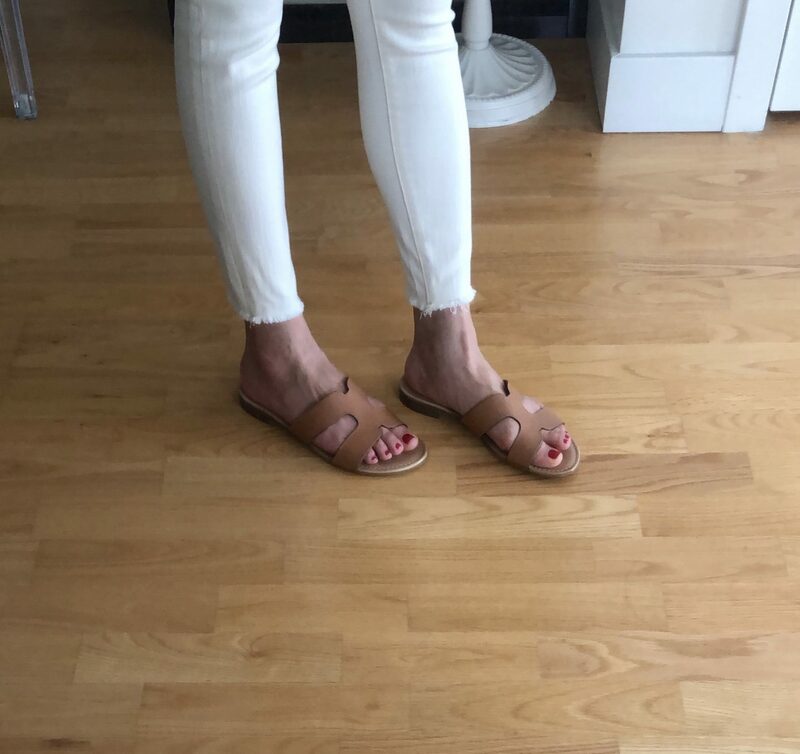 I love the neutral color and they match a lot of my outfits so you may get sick of seeing these sandals. Click here for a better look at the eastern camel color. These sandals were recommended by my friend Annie and they’re very chic and easily dress up your outfit. They also come in a suede option. I was so excited to see that Ann Taylor finally made a cap toe slingback pump. These run true to size for me but if you have more narrow feet then these may run 1/2 size bigger than the black suede version. 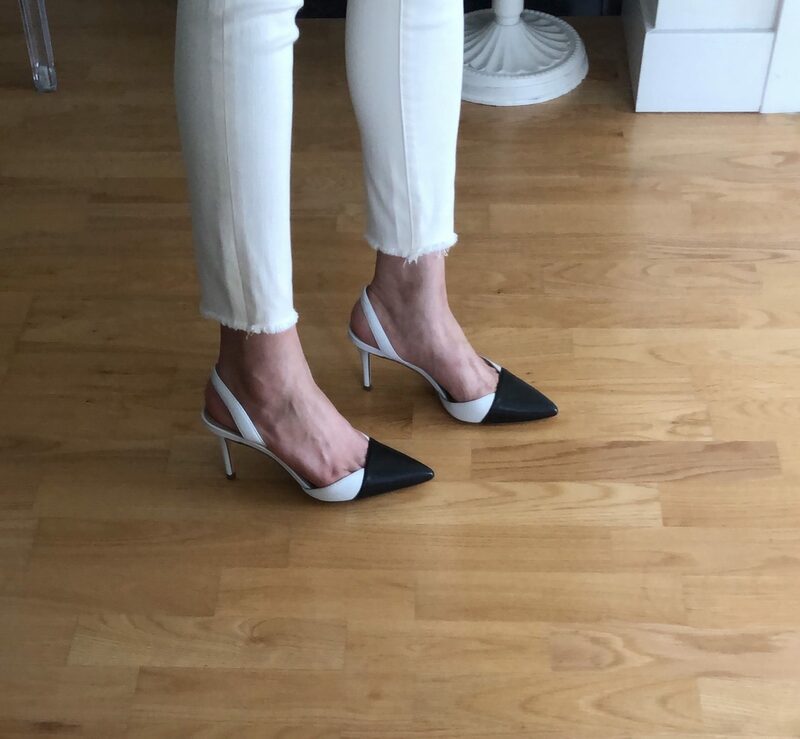 Click here to see the c/o Kerry suede slingback pumps in black suede on me (last featured here). 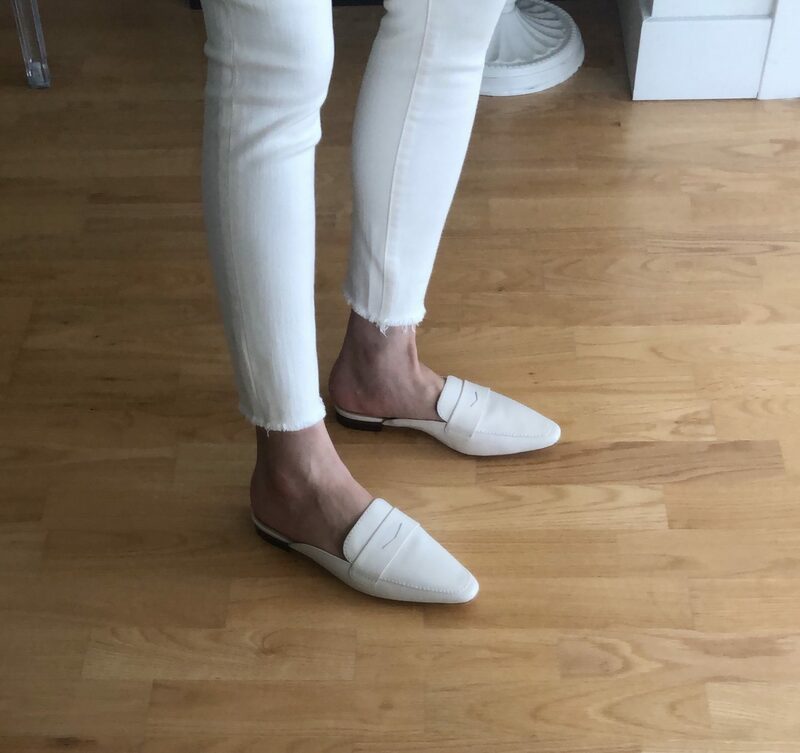 I had to get these white mules after seeing them styled by my friend Lilly. I actually wanted these in the suede version but the neutral spiced chai color has been a best seller so I haven’t been able to order them in my size. These bow pumps are really cute with a gingham fabric upper and I like the size of the bow which has a low profile. They are also available in a seude version. If heels aren’t for you these striped bow d’orsay flats are really cute. 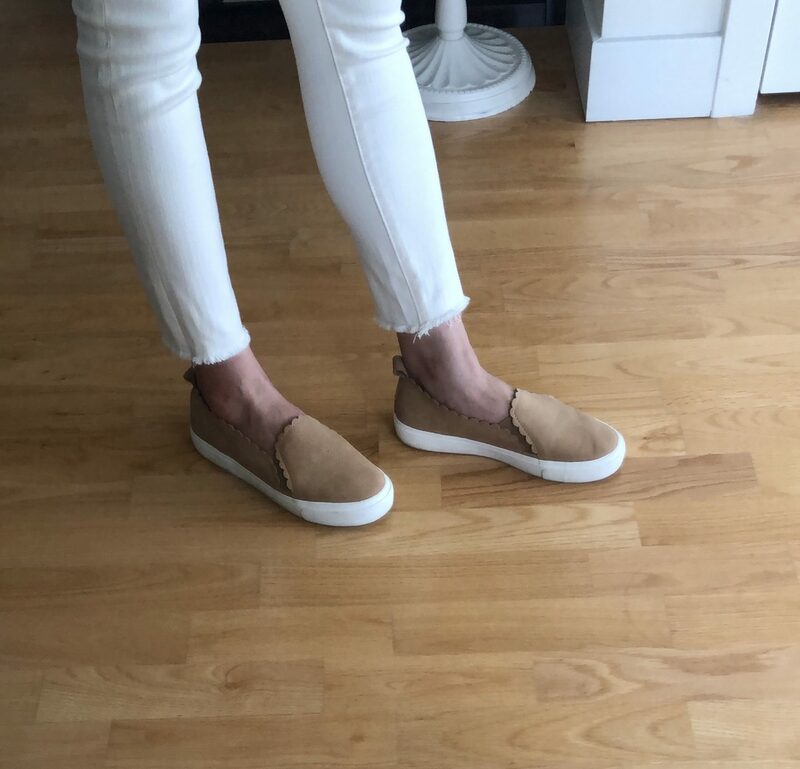 If you prefer a more stable shoe these espadrilles had caught my eye in store and I ordered them online during one of DSW‘s recent promotions. Tip: If you are shopping in store you can ask them to price match the online sale price. I like these wedges better than the Kickoff style I got last year (review here, similar here) since the ankle straps are thicker. I previously reviewed these sneakers here. They’re really comfortable off the bat for my slightly wider feet and true to size and you may need to size down if you have narrow feet. I previously reviewed these sandals here but I figured they were worth mentioning again in this post. This pair is made in Italy and very nice quality. I bought these sandals when the store matched the 20% off promotion that DSW was doing online (use code BIGMOOD). I had to go up half a size in these since the length was short in my usual size. 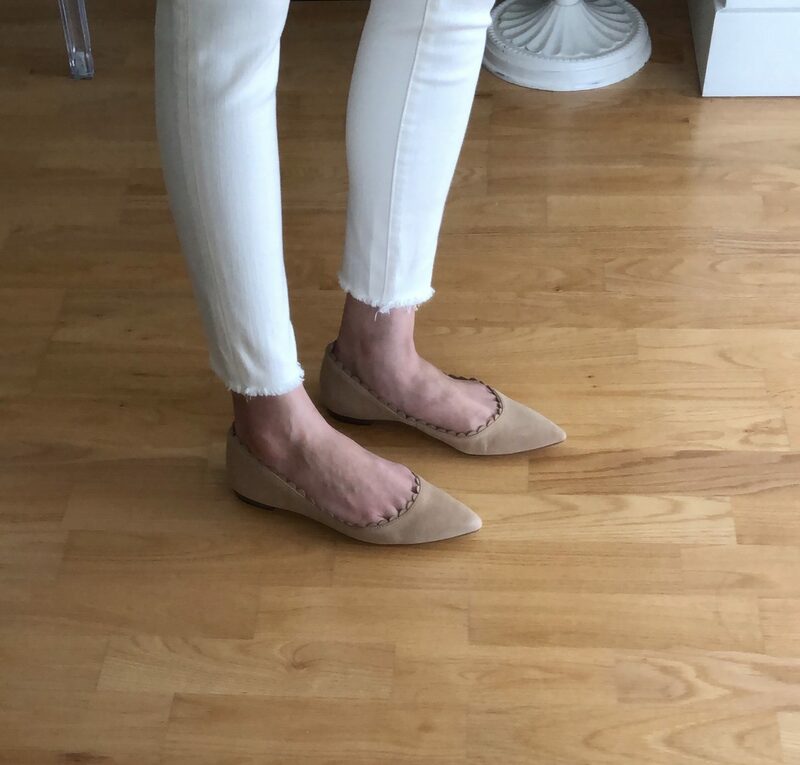 You’ve seen me where these scallop flats a lot (review here) and that’s because they’ve essentially replaced the J.Crew Factory flats below. 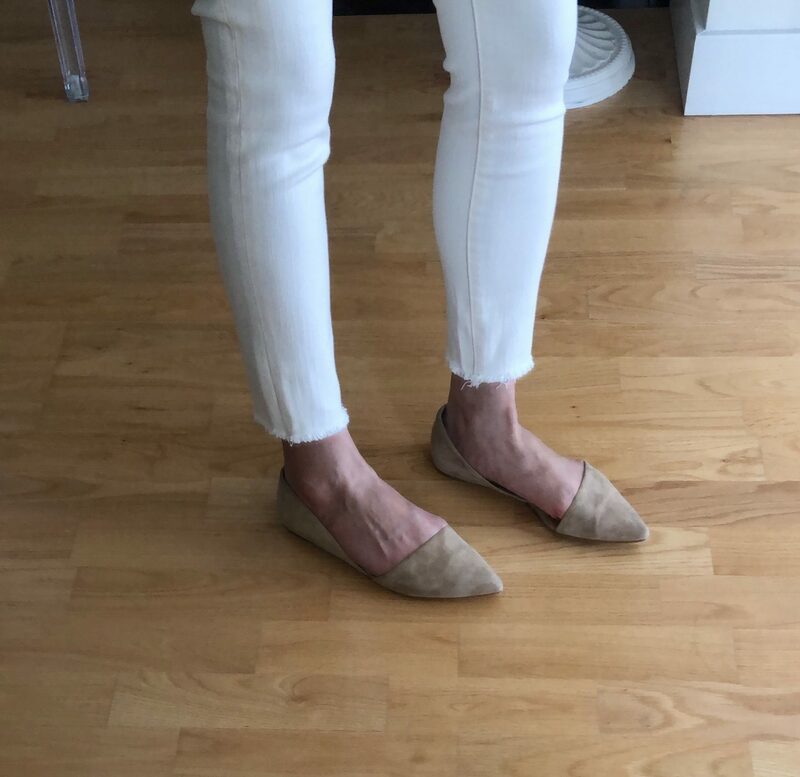 I still have the J.Crew Factory flats but they were such a pain to break in as mentioned in this post that I prefer sharing, wearing and recommending the more comfortable of the two flats. 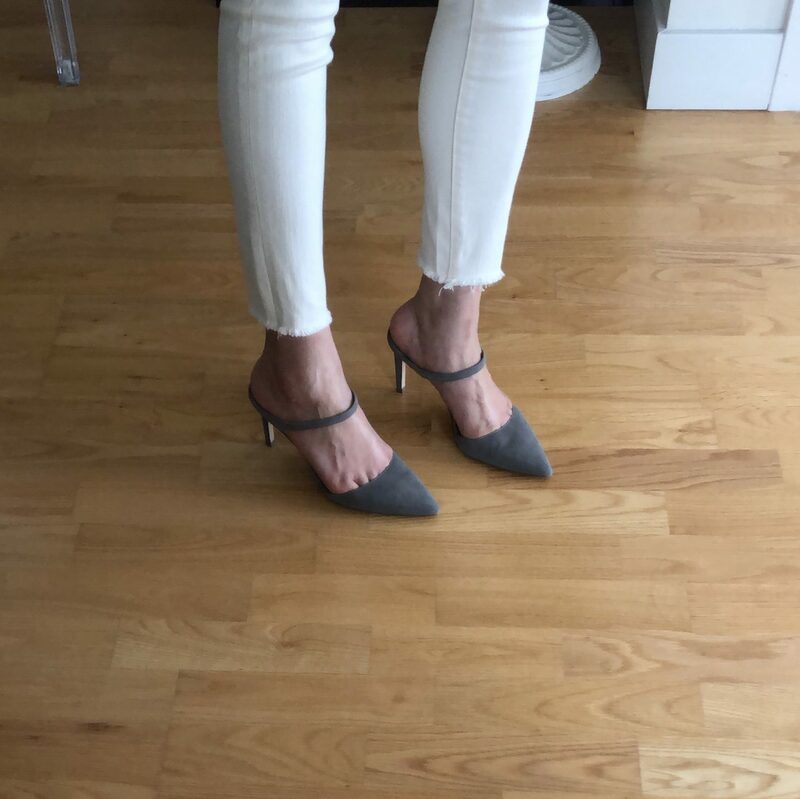 I received a pair of the scalloped flats as a gifted item from Ann Taylor for a prior sponsored work but I damaged my first pair in the rain recently. I recently picked up a fresh pair on deep discount with the stackable code I mentioned on my sale alerts page. 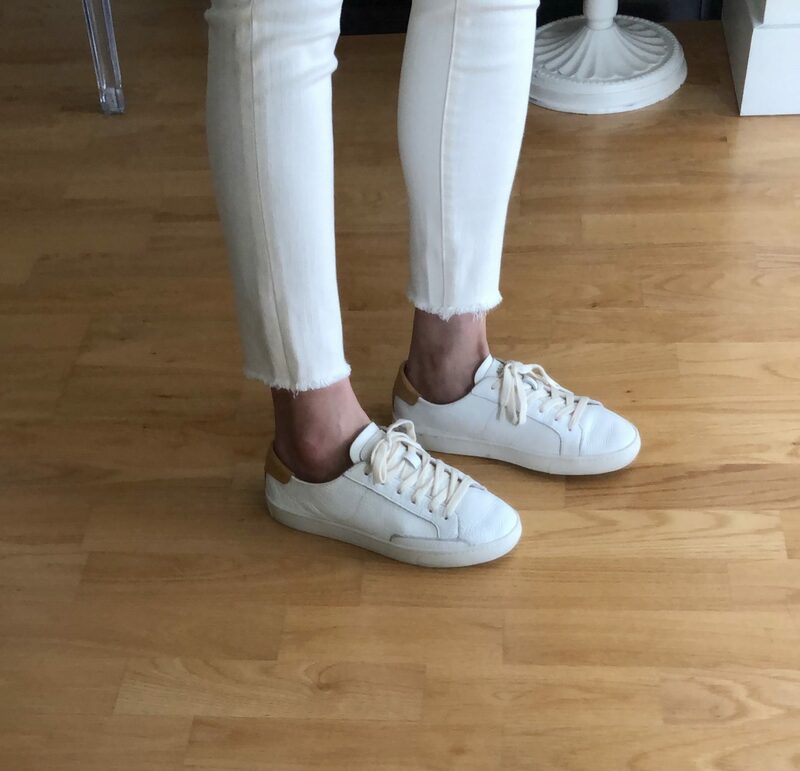 These all leather sneakers are my favorites and I love the old school vibe they give off. They’re very soft and comfortable and I took my usual size but I’ve also tried on size 6.5 and I fit that size as well so they run true to size to 1/2 size larger. I bought them last year when they were accidentally discounted online since they’re normally excluded from any of Ann Taylor’s online promotions due to being third-party merchandise. I have these strappy sandals in both golden caramel suede and black suede and they’re very comfortable. Normally the strap for these type of sandals and the width fits more narrow so this style can make my slightly wider feet look like they’re spilling over on the sides. However, the Odila style fits the arch of my feet comfortably and the strap doesn’t dig into my toes which is really important to me in terms of comfort. Click here for a better look at the camel color. 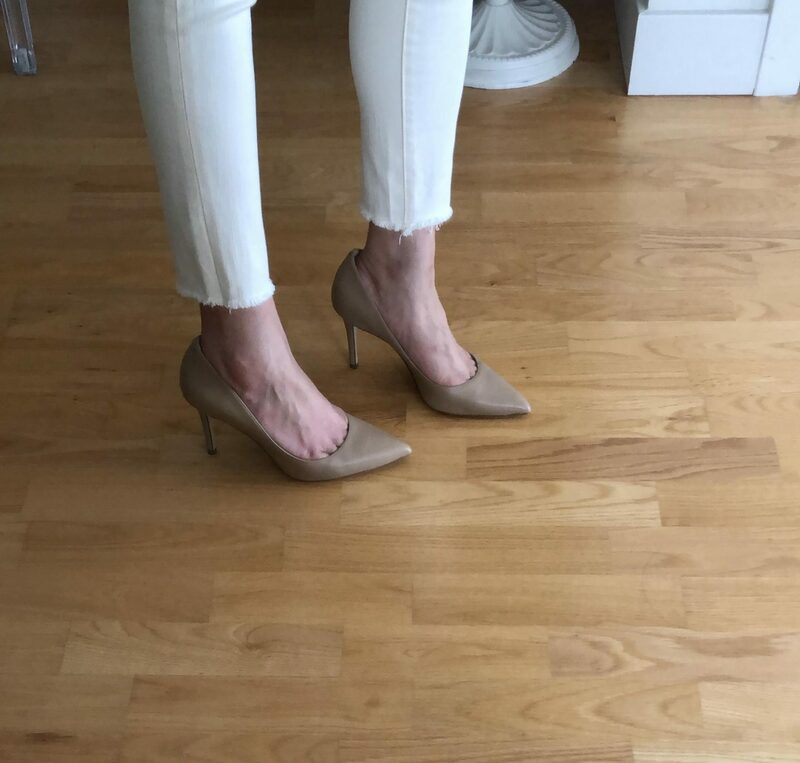 These sleek leather pumps are my favorite neutral heels and I bought another pair on deep discount after I stubbed the first pair that was gifted to me in the pavement. The Mila style pumps are one of my favorite styles offered at Ann Taylor and it’s available in a leather version (as seen here) as well as a new perforated version. These dainty mules are really pretty and currently sold out in the suede version. I really want them in the new snakeskin print and they’re also available in white leather. If you liked this post you can check out my other posts that I’ve tagged with shoe reviews.